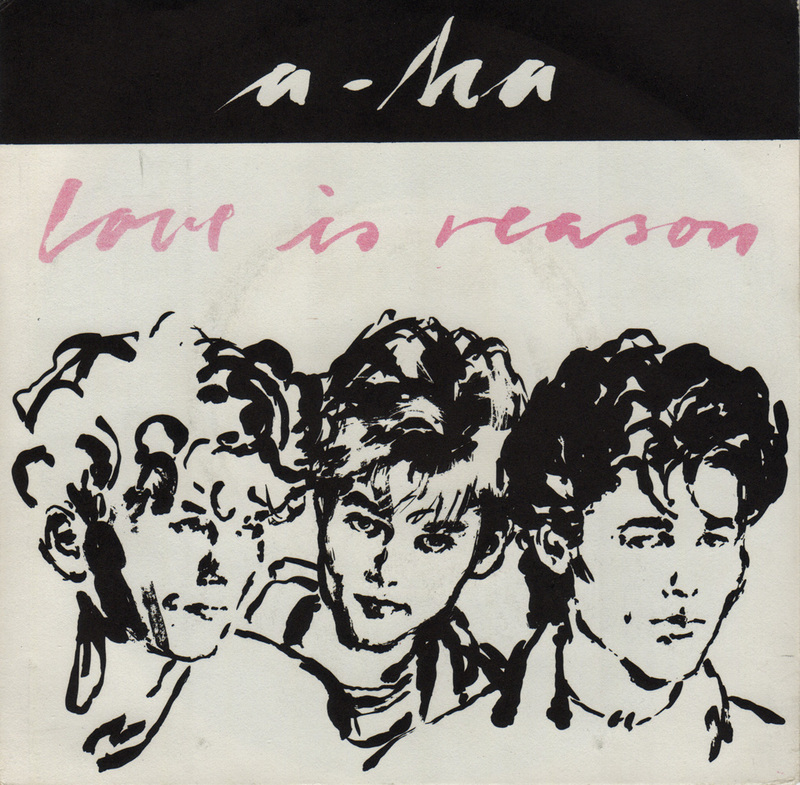 This Norwegian only 7" release comes in a white sleeve with a drawing of a-ha in black, pink title and a 3cm wide black strip with "a-ha" in white across the top. The reverse of the sleeve is white with a smaller black and white printed picture of the band and the tracks written in pink. The record itself was made in Germany. 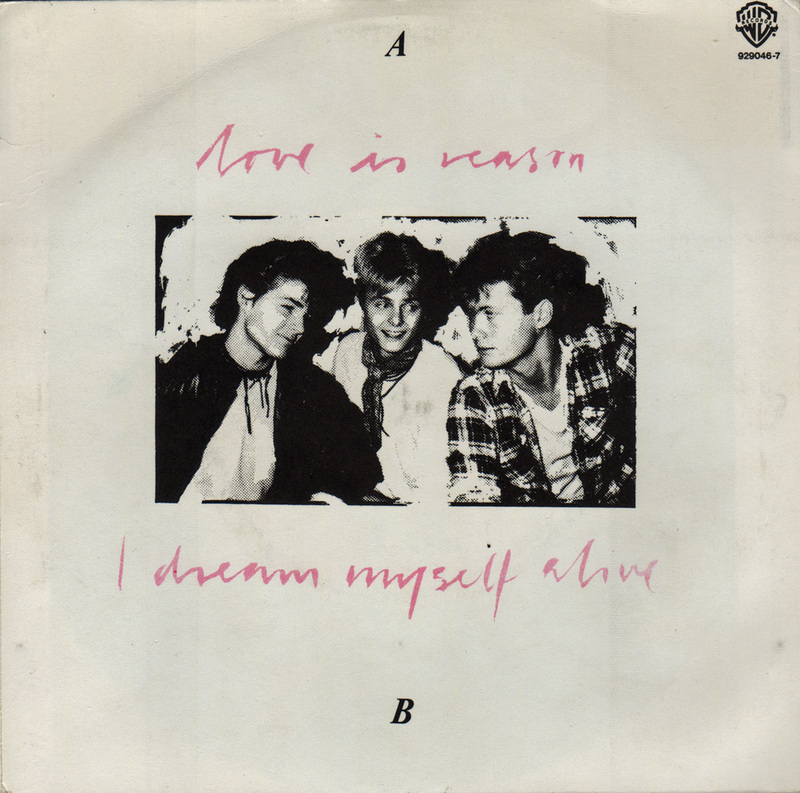 The tracks on the 7" are album versions of "Love Is Reason" (3:04) and "I Dream Myself Alive" (3:06). This follow-up single to "Take On Me" did not chart well and consequently sales were low. However, a second printing of the picture sleeve was released containing the original record. 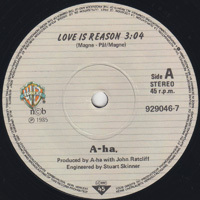 This edition is identical to the first edition with the exception of the added signature of artist Henrik Haugan printed in the lower right corner of the picture sleeve. The quality of the paper is also better giving the sleeve a rippled, rougher and more glossy look. 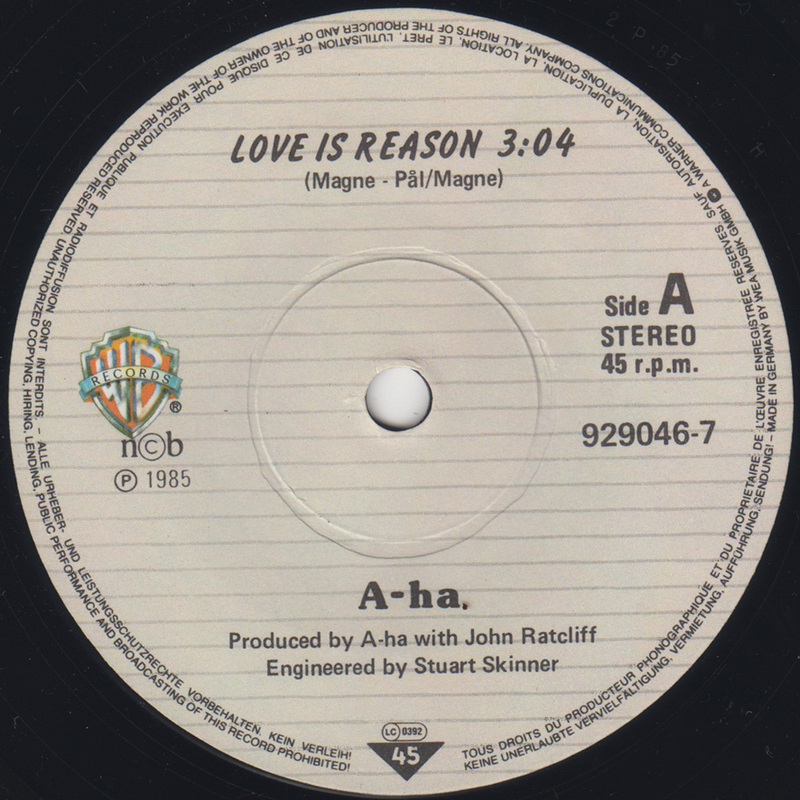 To end some speculations; a 12" edition of this title has never been released or produced. 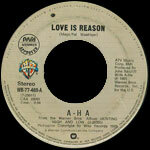 "Love Is Reason" was the A-side of a 7" from The Philippines. 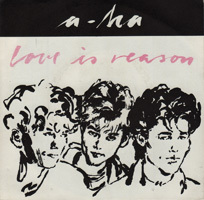 The B-side of the single is "Take On Me". The 7" has a juke-box hole in the centre and doesn't come with a picture sleeve.